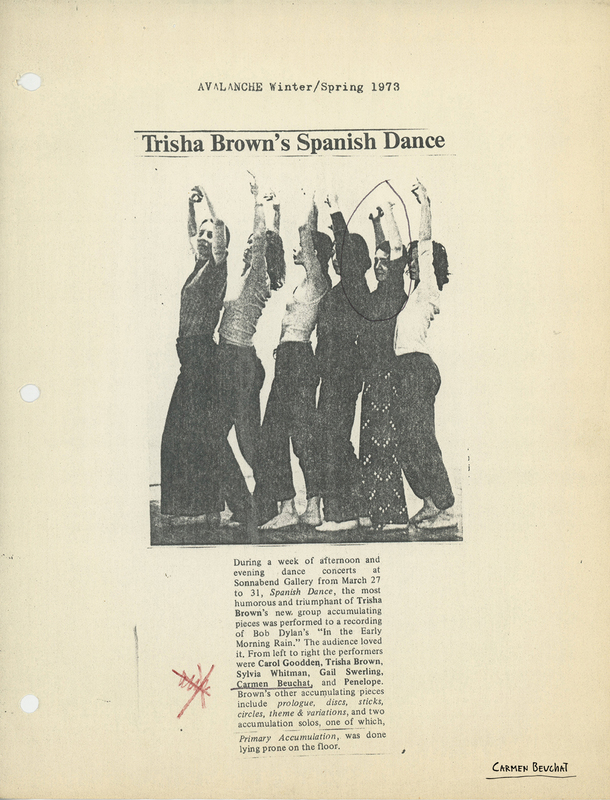 Press review of “Spanish Dance” by Trisha Brown published by Avalanche magazine in its winter/spring issue of 1973. It analyzes the performance presented at the end of march of 1973, at the Sonnabend Gallery, with Trisha Brown, Carol Goodden, Carmen Beuchat, Sylvia Palacios Whitman, Gail Swerling and Penelope as interpreters. Physical Description: Photocopy 21,6 x 28 cm.